You’ve heard that name before, haven’t you? Hamelin? 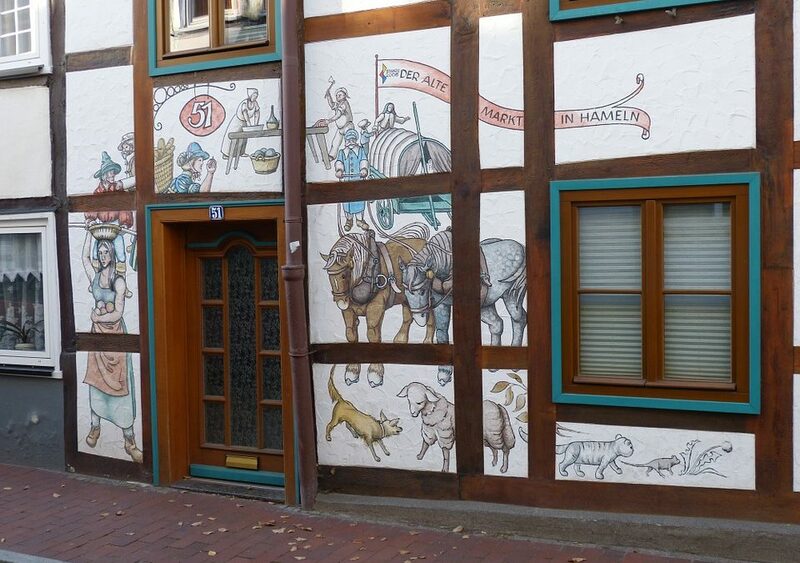 That’s right, it’s Hamelin where the legend of the Pied Piper began. The story of the Pied Piper refers to an incident which apparently happened in the Middle Ages, in 1284. The story explains that the town of Hamelin had an infestation of rats. A rat catcher was employed, the Pied Piper, whose pipe music charmed the rats and they followed him into the river where the animals drowned. So far so good … except the town’s mayor refused to pay the piper. The Pied Piper’s revenge was to lure away all the town’s children, again by the music of his pipe. The children were never seen again. True, it’s a rather grisly story but so are so many folktales, legends and fairy stories. Today Hamelin is a popular place to visit. The town itself is a fascinating place to spend time and it’s surrounded by picturesque countryside. There are festivals, events, museums, impressive architecture, sidewalk cafés and of course, plenty of reminders of just why Hamelin is famous.